Instead of putting on a sweater as he enters, Mister Rogers puts on a tuxedo jacket in preparation for the upcoming variety show. He demonstrates a dancing wooden figure and mentions that he will be using the figure in the variety show. Debbie Neal stops by on her way back from a camping trip to ask Mister Rogers to let her mother know she will be at the variety show a bit late. At Betty's Little Theater, everyone is preparing for the show as Elsie Neal tests the microphone. Meanwhile, Betty Aberlin and Bob Trow practice some music with Johnny Costa. The rest of the performers arrive and the show gets underway with a dance number by Joey Hollingsworth. 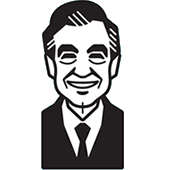 After he is finished, Mister Rogers talks briefly about how people react when they like a performance by clapping, whistling, and even shouting "Bravo!" The variety show continues with Joe Negri playing his guitar while sharing a story song about a boy with a guitar. Elsie Neal follows by reading one of her original poems and showing a piece of dyed fabric she has made. The next act features Bob Trow and Betty Aberlin as "Teddy Trow and Abby Aberlin" as they present a "sort of old fashioned movie featuring the theme of hide and seek." Mister Rogers is up next as he demonstrates his dancing wooden doll while Johnny Costa plays the accordian. When they are finished, Mister Rogers and Mr. Costa play an accordian duet while viewers are encouraged to perform at home on their own. Debbie Neal comes to the stage next to sing Many Ways to Say I Love You before the show concludes with a tap dance performance by Joey Hollingsworth and the McFeelys. Back at the house, Mister Rogers reflects on the wonderful performances by singing Many Ways to Say I Love You. Straying away from the show's typical routine, there is no Neighborhood of Make-Believe segment in this episode. © 1972, 1973 Family Communications, Inc.